People live one besides other, in their own inner world. Relatioship which focus only on market exchange, ovewhelmed by duties and/or modern technologies throught which the focus is distracted out of experiencing the relationship. Who has more power to prove? Who can offer something vigorous for relationship? Can we? Collaboration of a choreographer and dancer K.Brestovanska (KB/16) and a musician M. Kosorín (ZOO and Aquarium). Performance is based on the Research/Sound by motion. Through research, we generate and tune up musical instruments – wooden containers to which piezo-electric sensors are attached. 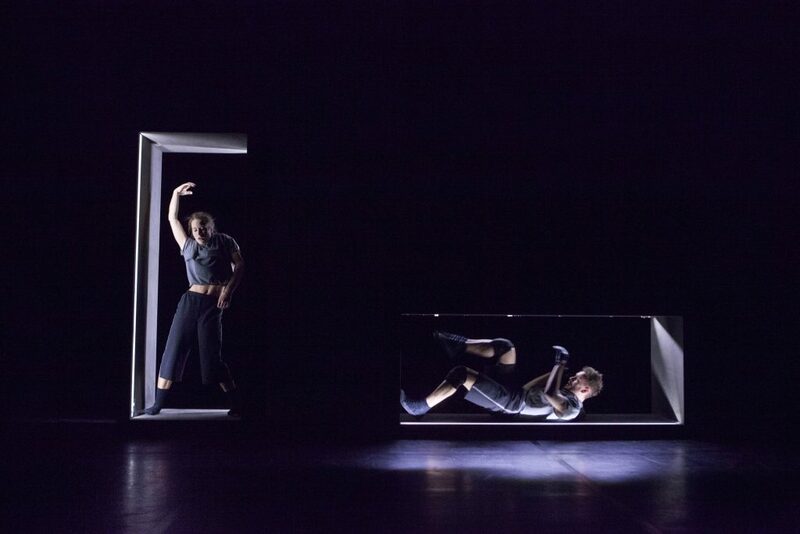 Basicly, it is about sensing the vibrations of the material that a dancer generates by its movements inside of the container or by its contact with the container. It is the movement and the body of a dancer, which makes containers sound and brings us into the imaginary sound-light world. The audio output is then recorded and processed by using the computer software.